Brett Reardon joined the SPEA undergraduate advising team in 2016. Previously, he was the assistant director of admission at Franklin College, and prior to that an admission counselor at Illinois College. Reardon received his undergraduate degree in secondary education from Butler University, his Master of Education from Concordia University in Educational Leadership. 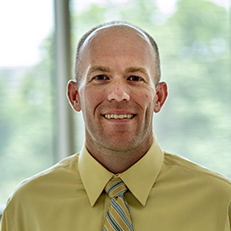 Outside of work, Reardon enjoys watching IndyCar racing, supporting Indianapolis sporting teams, and running.